A three-dimensional (3D) object reconstruction technique that uses pure-phase computer-generated holograms (CGHs) and a phase-only spatial light modulator (SLM) is proposed. The full parallax CGHs are generated by the point source method and the wave-oriented method without paraxial approximation. Different from conventional CGHs, the pure-phase information on the hologram plane is loaded on the SLM to reconstruct the 3D diffusive objects without considering the reference wave. This technique is more efficient in its utilization of the space-bandwidth product of the SLMs. Numerical simulations and experiments are performed, and the results show that our proposed method can reconstruct 3D diffusive objects successfully. OCIS codes: 090.1760, 090.2870, 090.2890. Holography is the only technique that can provide all the depth cues among all the three-dimensional (3D) display techniques since it can reconstruct the entire optical wave fields . No special glasses will be needed when one views 3D objects displayed by holographic technology and he/she will not feel visual fatigue after longtime viewing. The typical materials for recording the hologram are photosensitive media. 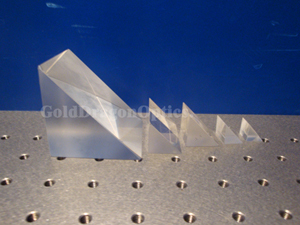 It is time consuming for using the photosensitive media to produce holographic 3D displays. With the development of spatial light modulators (SLMs), it is possible to display holograms in real time[2,3] . Applications of digital holographic techniques to display 3D objects can fall into two categories: 1) digital synthesis of computer-generated holograms (CGHs) and optical reconstruction using SLMs[4,5]; and 2) recording of optical wavefront as digital holograms and optical reconstruction using SLMs . CGHs offer important advantages over optical holograms since there is no need for a real object. However, the present techniques have two main limitations: the computation time for generating full parallax holograms and the limited bandwidth of the SLMs. However, most of the methods for generating CGHs require adding a reference wave to compute the fringe patterns. When using SLMs to reconstruct CGHs, one may take care of the insufficient sampling of the holograms due to the limited resolution of the SLMs. Several researchers have testified that the pure-phase information of a 3D diffusive object can be used to reconstruct the 3D scene with hardly weakness[6,15] because the diffusely reflecting objects scatter light information over the whole hologram plane. Researchers have proposed some techniques to improve the phase-shifting operation and reduce the speckle noise in digital holography[16,17] . In addition to simply using phase-only information for holographic reconstruction, phase-only holographic information has also been used for 3D object recognition . Instead of employing phase-shifting and optical scanning holography technique to obtain the phase information as mentioned above, we can digitally synthesize the purephase CGH of a 3D diffusive object. In this letter, both the point source method and the wave-oriented method are used to generate the phase CGHs of 3D objects, and the CGHs are loaded on the phase-only SLM to achieve optical reconstruction. No reference light is required to generate the holograms, and only the phase information of the optical distribution on the hologram plane is used to compute the hologram. This technique, as the same as the traditional kinoform, is more efficient in its utilization of the space-bandwidth product . This kind of CGH is more suitable for using phase-only SLMs to produce optical reconstruction. The reason to employ a random phase in each point source is that this effectively distributes the information content over the entire region occupied by the hologram just like a diffuser. With a proper choice of random phase, we may assume a uniform amplitude in the complex hologram, and thus we can still achieve good quality reconstructions without considering the amplitude information. Figure 1 shows the geometry system used to compute the CGH of a set of planar segments. Each segment has its own coordinate system r n = (xn, yn, zn). The parallel local coordinate system r?n = (?xn, y?n, z?n) shares its origin with r n, and is in parallel with the global coordinate system r? = (?x, y, ? z?). The hologram is placed on the (?x, y, ? 0) plane. where H? n(u, v) = =[h? n(?xn, y?n)], = and = ?1 presents the Fourier transformation and the inverse Fourier transformation, u and v denote the Fourier frequencies along xn and yn axes, respectively . (?xn, ?yn, ?zn) is the origin of r?n in the global coordinate system. The term exp[i2π(u?xn + v?yn)] is introduced because of the off- sets between the two parallel planes, which is nothing more than the shift theorem of Fourier transform theory. Specifically, the Fourier transform the of a function in shifted coordinate system equals the Fourier transform of the same function in the unshifted coordinate system multiplied by a phase proportional to the amount of shift. Complex amplitude distribution of the 3D objects on the hologram plane can be obtained through computer synthesizing methods mentioned above. Conventionally, reference beams would be added to generate the final CGHs, which will lead higher spatial resolution of the fringe pattern. However, the spatial-bandwidth product of commercial SLMs is not as high as that of holographic films, which will decrease the reconstruction quality of the CGHs. In this letter, the CGHs are generated without using reference beam. We use only the phase information on the hologram plane and discard the amplitude information, which will maintain good quality reconstructions for 3D diffusive objects. To demonstrate the effect of our proposed method, we performed numerical simulations and experiments for reconstructing the 3D objects. In the experimental work, we utilized the XY PhaseFlat of liquid crystal on silicon SLM (Boulder Nonlinear Systems, Inc., Lafayette, Colorado), which was a pure-phase modulator consisting of 512×512 square pixels. The pixel pitch of the SLM was 15 μm, and the SLM was addressed with 256 gray-scale levels. The wavelength used in our experiment was 632.8 nm. AMINTRON vision camera MTC-13K80AH was used for recording. Figures 2(a) and (b) show the simulated and experimental reconstructed 3D object from the CGH by the point source method. The size of the cubic we use to generate the CGH is 2×2×2 (mm), and the total number of the sampling points is 104. It is worth to note that not all the sampling points are in focus in both simulation and experimental results. This is because the sampling points are distributed in the 3D space, and the two-dimensional (2D) image planes are focused on the foreside of the cubic. The numerical and experimental results indicate that the point source method can achieve 3D diffusive object reconstruction successfully. Figures 3(a) and (b) display the simulated and experimental 3D diffusive object reconstruction from the CGH by the wave-oriented method. The size of the cubic is 2.1×2.1×2.1 (mm). When computing the CGH from the 3D object using the wave-oriented method, we choose only the planar segments which are observable to the hologram, because the lights from other segments have no contributions to the hologram. The brightness of each planar segment can be accurately controlled. The brightness ratio in this case is 10:6:13 for the A, B, and C surfaces. As shown in Fig. 3, the illumination and shading effects of the 3D object have been clearly represented. In conclusion, we have proposed a method to reconstruct 3D objects that uses only the phase information of the CGHs. The full parallax CGHs of 3D objects are synthesized by the use of the point source method and the wave-oriented method, and no paraxial condition is assumed in the computation. Instead of adding a reference wave to the object wave, we use the pure-phase information on the hologram plane to synthesize the CGHs of the 3D diffusive objects, which makes full use of the limited space-bandwidth product of the phase-only SLM. We use the phase-only SLM to reconstruct the calculated CGHs, and the experimental demonstration shows that optical reconstruction can be successfully implemented. It is be lieved that the proposed method can be used in many holographic 3D applications because it is convenient to use commercial phase-only SLMs for the phase-only 3D object reconstruction. This work was supported by the Innovation Team Development Program of the Ministry of Education of China (No. IRT0606) and the National Basic Research Program of China (No. 2006CB302901).